In an ideal world, we’d all have weekly spa appointments booked from now until the end of the year. Beauty detox days complete with massages, facials, and all-you-can-drink cucumber and lime water. Who wants to spend all that money though? 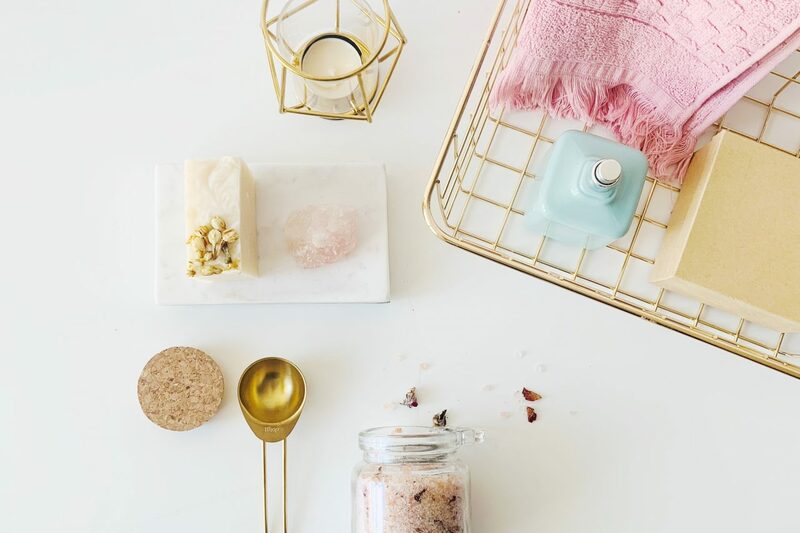 You can create your own luxurious one day beauty detox experience and self-care routine that will keep you feeling pampered and relaxed all week long. We know self-care is essential for every adult. Unfortunately, it is hard to build some “me” time into our daily schedules. Remember, time for yourself does not necessarily mean taking a full day at the spa. It can be as simple as taking 30 minutes to meditate, reading a book, or just watching the sun come up. Taking “me” time also builds your self-esteem over time, as you come to realize that you are important and deserve to have a little time to yourself. Today, I want to share with you how to have your own DIY beauty detox at home. First, let’s talk a little about your skin and why it’s so important to keep it healthy. You know your skin is your body’s largest organ right? It serves as a protective barrier between your insides and the rest of the world! Pretty cool huh? As our skin exists in a constant state of growth, with old cells dying as new cells are forming, it is important for us to keep our skin healthy. A nutritious and well-balanced diet is the foundation for a beautiful and healthy in. Of course, 6 – 8 glasses of water a day is a must. This ensures your skin has the vitamins, minerals, and nutrients it needs to maintain and repair cells. Skincare products should be free of scents or perfumes. Soaps should be gentle and moisturizers should be used every single day. Especially during the winter months. Drink enough water to properly hydrate the skin; 6 glasses of water daily are a must. I know many of us cannot imagine leaving the house without any makeup on. I prefer to have makeup on, but not have to. So if you want to go makeup free for one single day, here’s what you need to do. No foundation, concealer, contouring or highlights today. Swap all those out for a relaxing moisturizing routine to give your skin a chance to breathe. Start your day with a steamy shower and wash your face with an electronic or manual facial brush for an extra deep clean. I love the Clarisonic NEW Mia Prima 1-Speed Sonic Facial Cleansing Brush because it cleans my pores and leaves my face feeling refreshed. Follow with an exfoliator to get rid off dead skin cells. Once you are out of the shower, use whichever moisturizer works best for your skin type. Kiehl’s has been a dream for me. Done. Do not follow with makeup. Leave it off. No flat ironing, curling, or Brazilian blowouts today. Give your mane a break. You can repair damaged hair with an all-day hair mask while restoring moisture too. Wash your hair and moisturize with your favourite deep conditioner, then towel dry. Apply a quarter-sized amount to towel-dried hair and massage through from roots to ends. Leave on for 5 minutes and rinse thoroughly. All done! Now, if you can implement this one-day beauty detox once a week, your hair and skin will thank you for many years to come. You don’t have to be a DIY expert to create your own exfoliating scrub at home. You can put together a scrub in less than 10 minutes with items you already have at home. It can be exciting coming up with nourishing combinations that are great for your skin. There are a few things to consider before choosing your ingredients. Abrasive exfoliators are only good for your body, not on your face. My top three ingredients for facial scrubs are oatmeal, brown sugar, and of course, honey! Oatmeal is a great all-natural exfoliator and is naturally soothing. While brown sugar is great for hydrating your skin. Raw Honey does wonders for your skin! It cleanses well without drying out your skin. For most skin types, it’s fine to use a facial scrub 2-3 times per week. If you have super sensitive skin, use a scrub once a week for the first month, then gradually increase the frequency. This scrub is particularly great during the cold winter months when skin tends to get dry and irritated. Your skin will feel supple and will glow after this. Mix everything together until you have a thick sticky mixture. Add a little extra oil if it’s too sticky or clumpy. Wet face with a little warm water. Apply a small amount of facial scrub to your skin and gently massage using small, circular motions for 2 - 3 minutes. For best results, leave facial scrub on your face for 5-10 minutes. If you have any of the mixture left or decide to make more, make sure you store it in a glass jar with an airtight lid. This mixture will last for 6 months and likely even longer IF and only if you didn’t add any water to the mixture. Adding water will cause it to go bad quickly. Simply add to a glass of water and enjoy all day! In the warmer months, add crushed ice. Detox smoothies have great benefits and it is always good to flush your body of unwanted toxins every now and again. The Magic Bullet Blender – 11 Piece Set helps me make the best smoothies ever! Here’s how to make a great green detox smoothie. Wrap up your day with relaxation, meditation, or some journaling. See how easy it is to create your very own spa day at home? Have any awesome DIY self-care routine recipes to share? Enjoy your one-day beauty detox and share how it goes with me in the comment section below.